To disconnect Thru Sync from syncing files to your desktop, right click on the Thru system tray icon and click on Settings. The Settings window opens. Click on the dropdown arrow located in the top right corner. 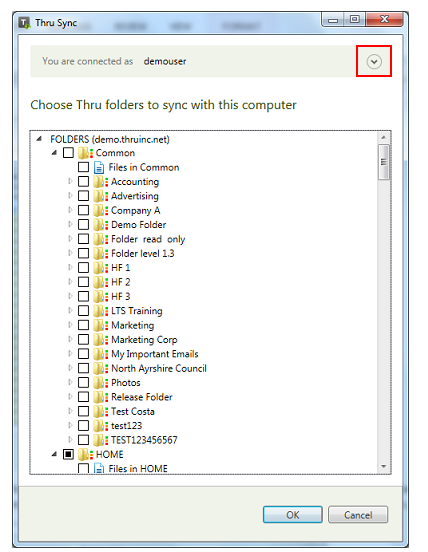 Select Disconnect Sync to disconnect Thru Desktop Sync from the current Thru account. 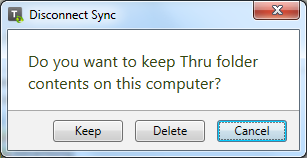 You will be prompted to either keep synchronized files on your desktop or to remove them. Choose either Keep or Delete.